The animal was a variety of hadrosaur. It was a duck-billed dinosaur that roamed in herds said Pat Druckenmiller. He is an earth sciences curator at the University of Alaska Museum. It is in Fairbanks. Northern Alaska likely was once covered by forest in a warmer climate. The dinosaur lived in darkness for months. It probably experienced snow, researchers said. 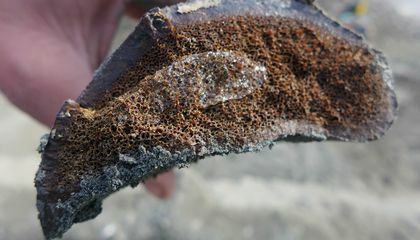 The fossils were found in rock. It was deposited 69 million years ago. For at least 25 years, the fossils were lumped in with another hadrosaur, Edmontosaurus. It is a species well known in Canada and the U.S. That is including Montana and South Dakota. The formal study of the Alaska dinosaur revealed differences in skull and mouth features. That made it a different species, Druckenmiller said. The differences were not immediately apparent. That is because the Alaska dinosaurs were juveniles. 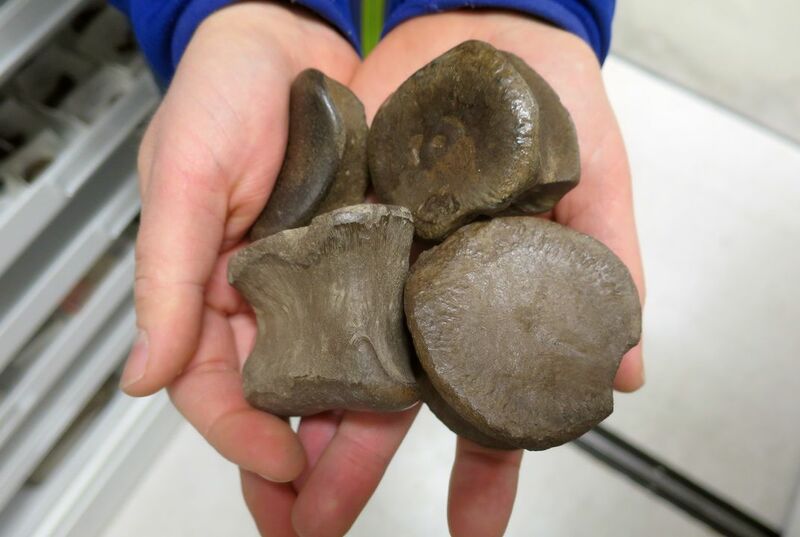 Researchers determined differences in the Alaska fossils, Druckenmiller said. They plotted growth trajectories. And they compared them with juvenile Edmontosaurus bones. Researchers have dubbed the creature Ugrunaaluk kuukpikensis (oo-GROO-nah-luk KOOK-pik-en-sis). The name means "ancient grazer." It was chosen by scientists with assistance from speakers of Inupiaq. It is the language of Alaska Inupiat Eskimos. The dinosaurs grew up to 30 feet long. Hundreds of teeth helped them chew coarse vegetation. They probably walked primarily on their hind legs. But they could walk on four legs, Druckenmiller said. Most of the fossils were found in the Prince Creek Formation of the Liscomb Bone Bed. The area is along the Colville River. It is more than 300 miles northwest of Fairbanks. The bed is named for geologist Robert Liscomb. He found the first dinosaur bones in Alaska. That was in 1961. At the time, he was mapping for Shell Oil Co.
Museum scientists have excavated and catalogued more than 6,000 bones from the species. That is more than any other Alaska dinosaur. Most were small juveniles. They were estimated to have been about 9 feet long and 3 feet tall at the hips. UA Fairbanks graduate student Hirotsugu Mori completed his doctoral work on the species. Florida State University researcher Gregory Erickson was also part of the study. He specializes in using bone and tooth histology to interpret the paleobiology of dinosaurs. They published their findings in the "Acta Palaeontologica Polonica." It is an international paleontology quarterly journal. The researchers said that at least 12 to 13 distinct species of dinosaurs lived on the North Slope in northern Alaska. But scientists have not been able to retrieve enough material to name another species. it means ancient grazers which came from Alaska Inupiat Eskimos. They named him that because they had potted growth trajectories and compared them to juvenile Edmontosaurus bones. The name Ugunaaluk kuukipikensis was chosen because the dinosaur was found in Alaska ans as well because of what the name meant and what it ate. The dinosaur ate vegetation like plants and greens. The name meaning "ancient grazer." As well because it was "chosen by scientists with assistance from speakers of Inupiaq". This is why the dinosaur was called that. The dinosaur was named by the scientists and with a help from the speakers of Inupiaq. It sounds like a weird name for a dinosaur and its hard pronounce. I have noticed things new about what had happened and it was very important to know about dinosaur. They where here before any of us was even born and that what made me interested in this. I learned that the name of the dinosaur is in Inupiaq. I think I kind of know because it said it was Eskimo language?!. But really trust me I really don't know how to speak Eskimo language.